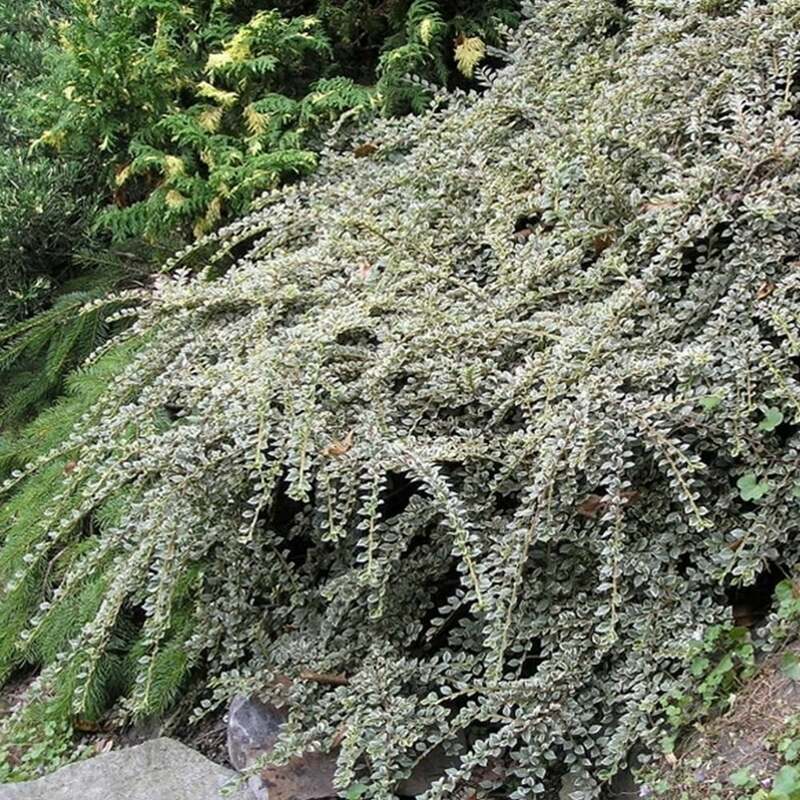 Cotoneaster Variegatus is a low-growing small deciduous shrub with horizontally spreading branches, bearing small leaves margined with cream and tinted red in autumn. Develops small pink flowers followed by red berries. Grows to around 0.5m in height, ideal hedge for covering walls and fences. Plant in full sun.